I watched the remake of Cabin Fever the other day. You know, that film about a bunch of dim-witted teenagers that go hang out at a cabin in the remote wilderness, where they drink infected water and become afflicted with the most horrific of diseases that coincidentally manifests itself as a lot of dramatic bleeding. A lot of bleeding. There’s this one scene where one of the girls is having a bath, and shaving her leg. Only thanks to the disease the razor rips her skin off as well. But she keeps shaving. And there’s another scene where another girl, rather close to death, asks her boyfriend to end her. So he slams the edge of a shovel in her face, cracking it open, but it doesn’t work. So she starts screaming, and he just spreads petrol around and torches her instead. It’s a classy film. The reason I mention it is I’d rather be one of those kids than play Shaq Fu: A Legend Reborn ever again. This game is absolutely abysmal. Before we get onto the gameplay (because whoooo boy), I’d like to start by talking about the game's sense of humour: turgid jokes-also-insults about Chinese accents (and people), overweight people, homosexuality, and all the rest of it has no place in 2018. It’s not only that those jokes are both pointless and not funny (an endless string of insults doesn’t make you a comedian, champ), but, even if they don’t annoy you in their arbitrary offensiveness, there’s nothing new about them. They were old three decades ago. At least the good shock comedians come up with new material so they can stay edgy. This game seems to think Jenny Craig is still a punchline. At other times the game makes liberal use of modern pop-culture references, which are thrown in there with no apparent purpose beyond the developers screaming "LOOK WE CAN NAME DROP HOW FUNNY ARE WE," right in the face. It's deafening. There’s nothing of value buried under any of that “humour,” either. The game’s not telling a story with purpose or a point. The “jokes” come rolling in, one brain-bleeding one after another, but don’t build to anything. Shaq Fu does indeed star former basketball great, Shaquille O'Neal, who should have done the world a favour and fade gracefully after he stopped throwing a ball around so well. But even his dubious star value doesn’t add anything to this game, either. Instead, all Shaq Fu manages to offer is the most generic premise for a brawler ever. 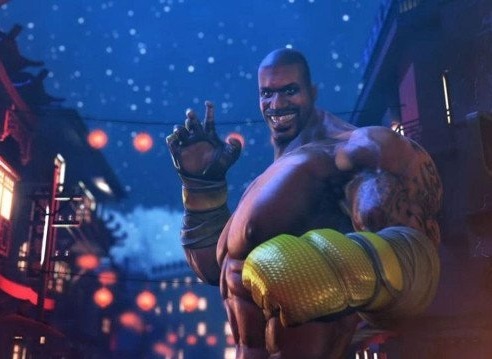 There’s a great evil that shows up every so often and Shaq – who for some reason was raised in China as an orphan and trained in martial arts – is the only one who can put an end to that evil. To do so he goes around beating stuff up one generic area, fights a boss, and then moves on to the next area. The developers and writers do imply that they’re aware of how terrible their game is, with some fourth wall-breaking “humour” and references to the absolutely terrible mechanics that it forces the player to deal with. Now, I’m right on board with fourth wall-breaking lunacy, but in Shaq Fu, none of it is done in good spirit. This isn’t the perpetually happy and innocent Hyperdimension Neptunia. Nor is it a gloriously transgressive homage and deconstruction of sleazy B-grade trashy exploitation films, as we see in something like Goichi Suda’s Lollipop Chainsaw. It’s certainly not the philosophical thesis that was NieR: Automata. 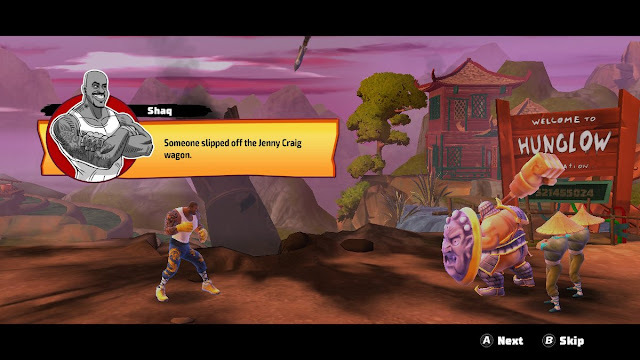 Shaq Fu: A Legend Reborn goes in hard with truly nasty humour, and tries to get away with it on the premise that the game itself was something worth preserving or remastering. It’s not, and it’s an unpleasant trash heap of a game right down to its core. Let’s say you can forgive the game for being a spit bowl filled the very muckiest of “humour.” After all, it’s a brawler, right? Just bring on the action! 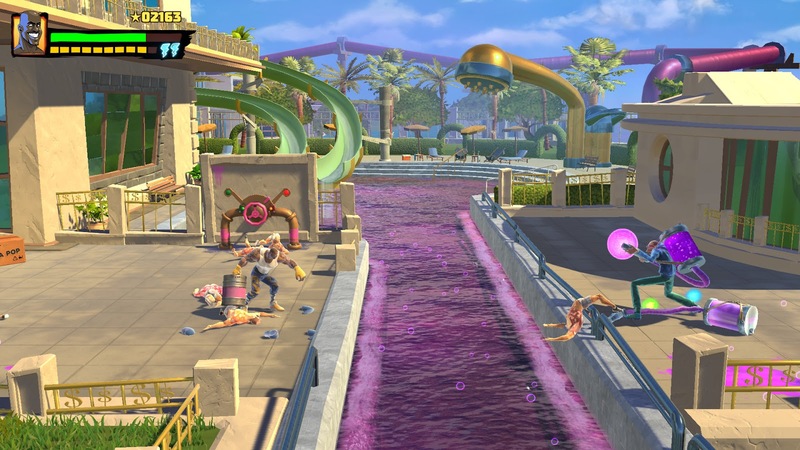 Shaq Fu: A Legend Reborn is a comprehensive failure there too. The brawler genre, which was once big in the arcades, faded for a while there, but is making a resurgence in the indie spaces, is now characterised by vibrant, dynamic, slick titles like Dragon’s Crown, or modern interpretations such as Bayonetta or even God of War (the earlier ones). 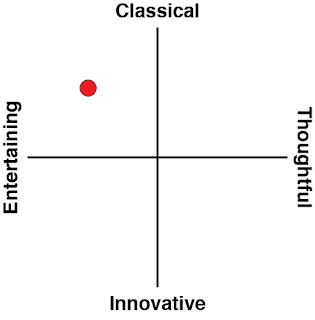 Those games are all well known – and loved – for their intricate, dance-like combat system and rich movesets. 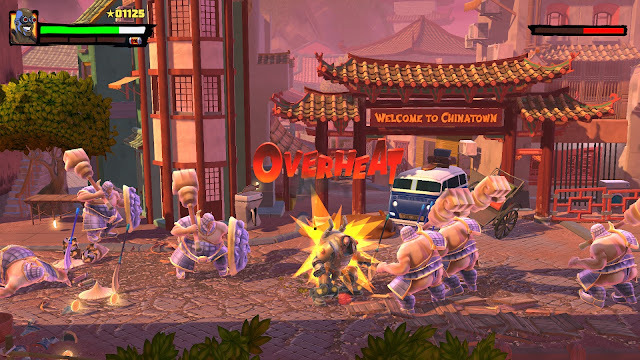 Then we come to Shaq Fu, where there’s no fluidity to the action whatsoever, and immediately the game feels painfully archaic, but doesn’t even have the good sense to at least go for the retro nostalgic by making use of pixels. Oh no, this game uses, bland, ugly, tries-too-hard-to-be-funny 3D character models. The game drip feeds new enemies at players, each with their own specific weakness that you need to learn once and then spam the same attack/dodge combinations each time you come across that enemy. The way the game escalates difficulty is in throwing different enemies with different strengths at you. Which often descends into a frustrating mess when the strengths of various enemies cancels out the weaknesses of different kinds of enemies, because you’re stuck in the middle of a pile of them trying to button mash your way out. None of these enemies are interesting enough to actually be enjoyable to fight, and within ten minutes I knew I was never going to look forward to coming up against a new enemy. Putting aside whatever stupid cliché that they’re going to represent so the game can make fun of them, they’re not going to be interesting to fight at any time. Actually, scratch that. It wasn't 10 minutes. It took me 20 minutes to get to that point because, despite looking about as complex as a first year game design student’s project, Shaq Fu takes a ridiculously long time to load. I actually had time to find myself a bottle of wine and pour a very, very big glass of while waiting for that first loading screen. I needed that wine. This absolute travesty was the maiden game by Big Deez Productions. 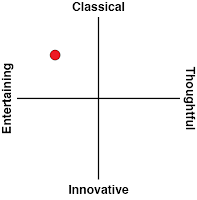 It’s never a nice feeling to be this critical about something, because people did put hard work and passion into it, and as a critic I feel like I’m being cruel to say that something is completely irredeemable. But that's what Shaq Fu: A Legend Reborn is: irredeemable. This is 2018’s most cuttingly unpleasant game to play. And I'm one of those that played Agony.